Update: PS3 users can now do away with their Netflix discs in order to access the collection of streaming videos. Simply head online and download the Netflix program on your PS3 when prompted, and you will be disc free. Netflix subscribers who stream video through their PlayStation 3s can feel a bit superior starting this coming Monday, Oct. 18th. That’s the day that Netflix will start offering streaming video with resolutions up to 1080i coupled with Dolby 5.1-channel surround sound. The PS3 will be the first device capable of streaming such high-quality content from Netflix. In addition, subtitles will also now be available for some Netflix videos. As an added bonus, PS3 users will be able to throw away their Netflix discs too. 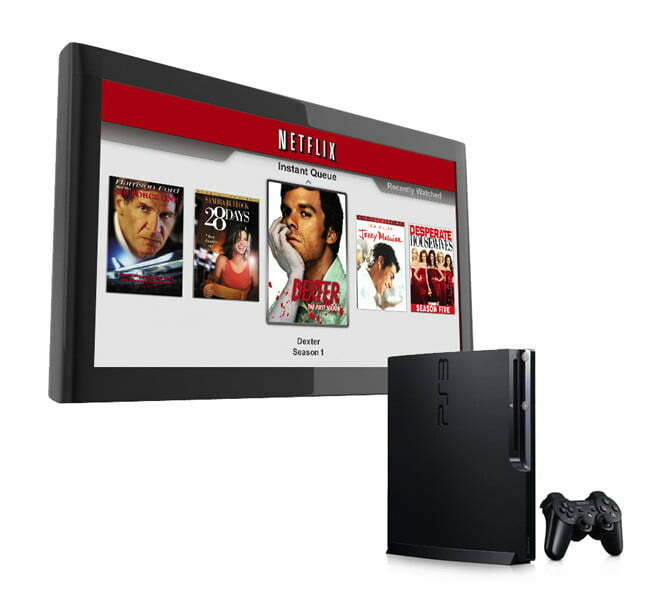 After an update, Netflix service will be offered through a native application, the PS3’s XrossMediaBar menu, or XMB. Previously, Netflix content was only accessible when playing a disc supplied by Netflix to its subscribers to stream content on gaming consoles, and will remain that way for other console owners. The PS3 Netflix application will also feature a redesigned user interface, supporting faster, easier searching and eschewing the previous procedure of having to queue up movies via a PC before being able to stream on a console device. The new interface promises faster playback and start times as well. The new features will come at no additional cost to current Netflix subscribers. Folks streaming on other devices will, for the moment, have to remain content with 720p resolution and plain ol’ stereo sound. Netflix does say, however, that it plans to bring high-quality streaming to other devices in the future.